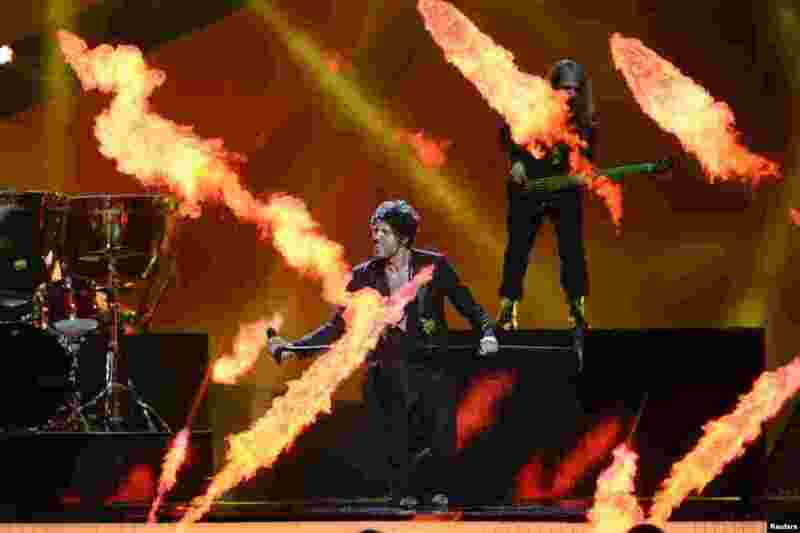 1 Albania's Adrian Lulgjuraj & Bledar Sejko perform during dress rehearsals for the second semi-final at the 2013 Eurovision Song Contest at the Malmo Opera Hall in Malmo, Sweden. The finals of the contest will be held on May 18. 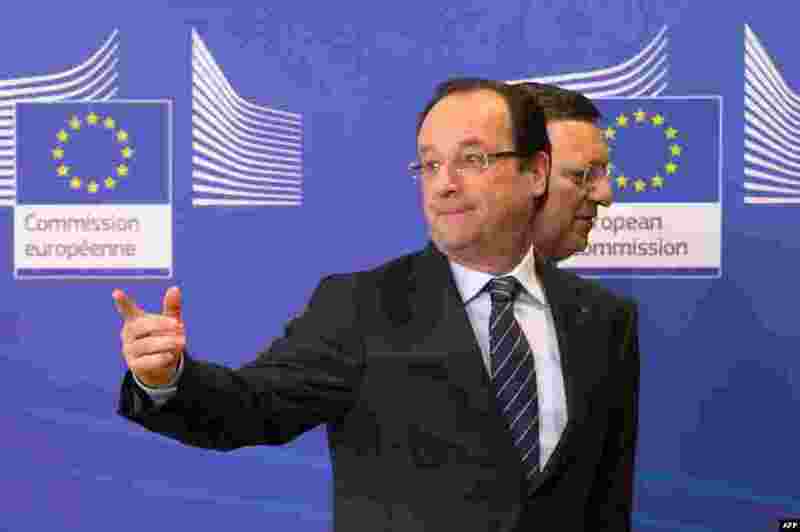 2 European Commission President Jose Manuel Barroso (R) walks behind France's President Francois Hollande during a conference of the Donor Conference for development in Mali at the EU Headquarters in Brussels, Belgium. 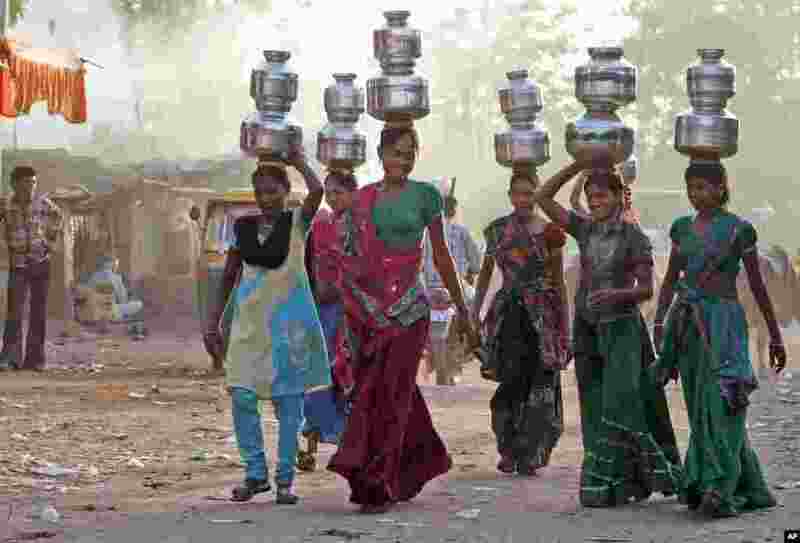 3 Indian village girls carry water in pitchers on their heads at Juval village, about 40 kilometers from Ahmadabad, India. Water scarcity in the scorching summer is a common sight in villages in India. 4 Jerzy Janowicz of Poland celebrates afer defeating Jo-Wilfried Tsonga of France during their match at the Italian Open tennis tournament in Rome, Italy.